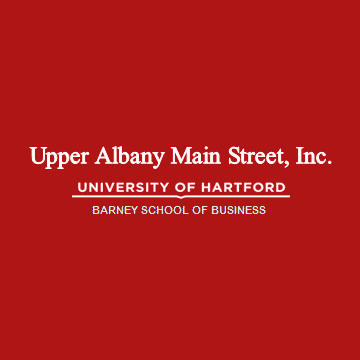 Founded in 2000, Upper Albany Main Street is a non-profit organization (a division of the University of Hartford). Located in Hartford, Connecticut, UAMS is devoted to revitalizing and preserving the commercial district of Albany Avenue, the gateway to downtown Hartford. The organization provides community outreach programs and assists business owners with growing and expanding their establishments to new levels. In 2013, UAMS was accredited as a National Main Street Community Development Business Organization by the National Trust for Historic Preservation and is the catalyst for the economic revitalization of the Albany Avenue commercial corridor. One of the things that Bitrix24 offered was the ability to combine all of the above features into one compact but powerful software platform. It would not be beneficial to the façade program to have to incorporate different software programs for each of the above features. Being involved in a project with hundreds of people, contractors, and managers, can become overpowering. User-friendliness is a big aspect of having a successful project, and with Bitrix, all of the features, workgroups, contracts, time clock, etc. are promptly available on your dashboard for each of your project members to use. Communication within the project is key to its success, and by using Bitrix24, UAMS has plentiful ways to communicate with one another. Bitrix24 offers the ability to instant message other online users, as well as send them emails, notes, and updates (through your dashboard). Not to mention the very handy feature of a built in phone that can be used to speak to other project members over the World Wide Web. Before UAMS came upon Bitrix24, they were eager to get a software platform in place that would be solid, stable, and would provide their project members the ability “to stay informed” about what is happening with the project. When Bitrix24 was incorporated into Upper Albany Main Street, it became possible to add employees. Not only was this beneficial to each new member but, it saved more time because employees no longer have to email documents back and forth. Simply add them to the workgroup and watch as façade members read and extract data from the intranet. With over 15 years of façade planning, Bitrix24 will be helping UAMS as the organization prepares to start the beginning stages of the multi-million dollar project. Both the University of Hartford and Upper Albany Main Street, Inc. (UAMS) are pleased to partner with Bitrix24 and they hope to continue a long lasting and professional relationship with our company.